Not only is the forecast calling for clear skies, a lack of moonlight means they should be plenty dark as well, creating the ideal conditions. Because the moon reaches its new phase on Aug. 11 — it will be just an early waxing crescent — and the shower's peak is in the early hours of Aug. 13, the moonlight "shouldn't cause us any problems at all," said Chris Vessey, co-founder of Sidewalk Astronomers of Charlottetown. "We have a lucky confluence this year," he said. "The moon normally casts a lot of light and … can end up washing out and making it impossible to see those meteors but we'll have a nice dark sky because the moon will be absent from the sky and even if it's just below the horizon there's only a sliver of it that's going to be sending light our way." Away from the city lights — or any lights, for that matter. "I would go the north shore, inside our provincial park would be ideal," he said. When will they be at their peak? Between 3 a.m. and 4 a.m. on Aug. 13 is expected to be optimal viewing, Vessey said. But anytime after 10 p.m. on Aug. 12 should be fine. "Although the peak is Aug. 12 and 13, the subsequent two nights will offer good viewing as well," he said. Where in the sky should you look? Look east to northeast, roughly 20 degrees up from the horizon, he said. 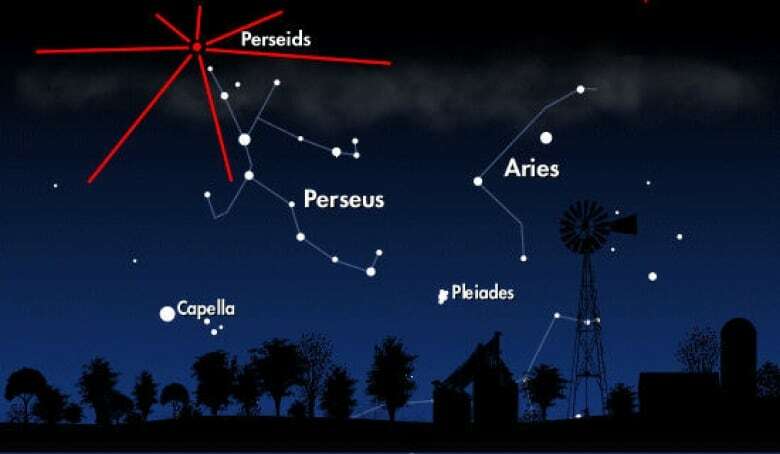 They will appear to be coming from the constellation Perseus. "If you look at the radiant point you will see short meteor bursts whereas if you look a little bit off you'll see the longer trails as they hit our atmosphere. "So you're talking about looking at the leading edge of where they're coming in versus looking a little bit to the side and seeing that trail, much like the contrail of a plane, except that this is going to be a bright glow that will last just for at most about a second." 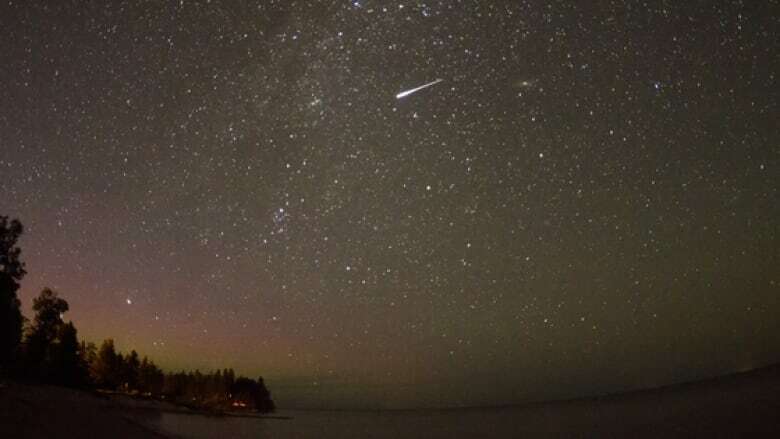 "The Perseid meteor shower is considered to be the best one in North America for the year," Vessey said. "There could be as many as 100 an hour."